You want Fido to run free – Runyon Canyon, with its popular off-leash hiking trail, is practically an extension of Outpost Estates and the residents have done much to protect it and shield it from development. In 1984, the Outpost Estates Homeowner's Association was a key player in halting a housing development and urging the city of L.A. And Santa Monica Mountain Conservancy to purchase the 130-acre green-space and declare it a park. You want easily accessible seclusion – In the original advertisements, Outpost Estates was billed as being “as accessible as a downtown hotel; as restful and charming as a mountain lodge”. Not much has changed since the 1920's as you can find shops, restaurants, theaters and plenty of tourist attractions a mere two and a half block walk away. 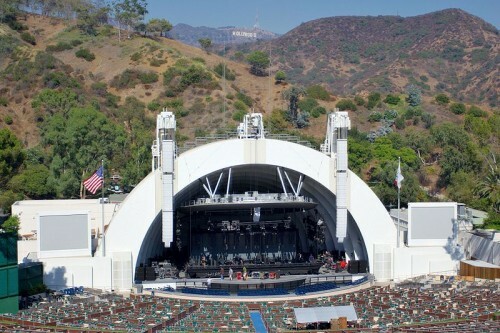 The Hollywood Bowl, which borders the northern edge of Outpost Estates Hollywood Bowl (2301 N Highland Ave) - Officially opened in 1922, a trip to The Hollywood Bowl is still the quintessential summertime event in Southern California. With musical performances ranging from classical to electronic to folk legends, a night at the Bowl (usually preceded by a picnic on the grounds) is something everyone in the family will love. 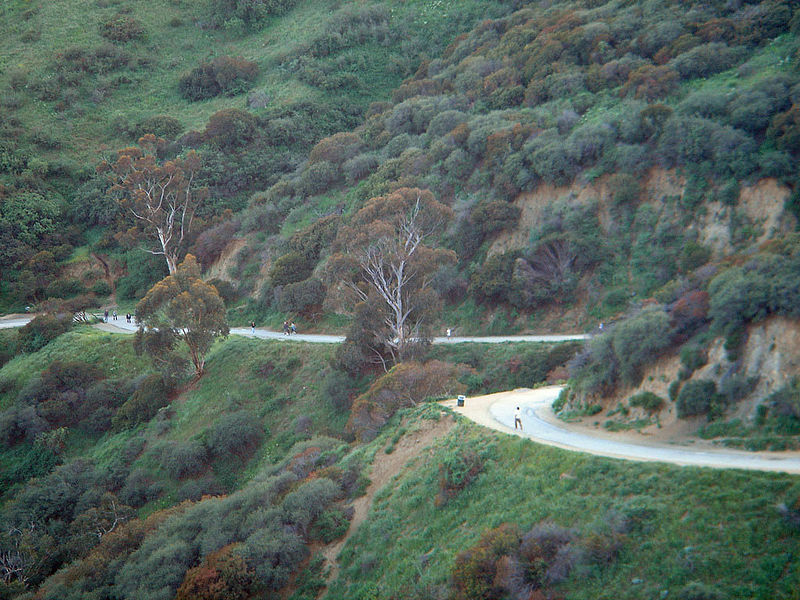 Runyon Canyon (2001 N Fuller Ave) - This off-leash dog hiking mecca offers several different loop routes for walking on two legs or four. With views that stretch from the San Bernardino Mountains all the way to the Pacific Ocean on a clear day, this is a perennial favorite for active Angelenos. Daily yoga and boot camp are also offered near the Fuller Street entrance. While it is possible to find 1 bedroom condos for sale along Franklin and Cahuenga Avenue for under $500,000, if you want to live in the heart of Outpost Estates, be prepared to spend at least $1 million on a home purchase. Just give me a call at 213-215-4758 and I'll get right to work looking for the home you're dreaming of. The site of the first home in Hollywood, an adobe built by Thomas Urquidez in 1853, was a large sycamore grove. One of the sycamore trees in particular found its way into history books as the hanging site of at least 13 alleged bandits and horse thieves. Somewhere around 1930, actress Dolores Del Rio, while building a home at the corner of Hillside Avenue and Outpost Drive, had the hanging tree chopped down during construction. For information on buying property in Outpost Estates or elsewhere in the Hollywood Hills, give us a call at 213-215-4758.